One day, without warning, a reporter might call from a local newspaper or media outlet asking to profile your company, or get your opinion on an industry trend. Then there might come a day when a blogger publishes a post about their experience with your brand. When that happens, small and medium-sized businesses can suddenly find themselves getting the kind of attention that normally requires a big spend on advertising. That coverage can also lead to a significant boost in business. Without an actual public relations (PR) strategy, however, it tends to be treated like more of a fluke than the pillar of marketing it should be. Not all SMBs formally employ a full-time PR person, or work with an external PR agency. Usually, marketing efforts are focused on driving awareness, demand generation and, as more sales come in, customer marketing that can reduce churn and ensure long-term satisfaction. PR may seem like a bit of a nice-to-have or something that can be put off until the company is bigger, but it can actually play a critical role in building an emerging brand. PR is valuable because it serves as a way to share stories about your company by having someone else do the telling. Think about it: as tough as times have been for mainstream media, those outlets have spent a long time building up an audience who trusts the work they produce. When the media writes about a company, it does so objectively, with its audience’s interests in mind. While you can always weave key messages into interviews, the end result tends to have the kind of prestige that is hard to come by through other means. On the other hand, sometimes businesses get nervous about media opportunities because they don’t necessarily have the same kind of control over the end result compared to, for example, an online ad they produce or a blog post they publish on their own site. In most cases, though, the media will treat companies fairly as long as you’re honest, forthcoming about details and respect their process. Most organizations launch a PR campaign or strategy when they have something big to say. This could include the launch of a new product, their entrance into a new market or geographic area, the appointment of a senior executive and so on. These could all be fodder for the media and could be planned alongside more traditional marketing activities. There are other opportunities, though, that many firms overlook in terms of PR exposure. If you’re already using tools to monitor conversations on social media, for instance, you may come across topics or trends where your firm would have helpful advice or a provocative point of view. You could not only respond directly in social media channels but reach out to relevant media outlets who might be working on a story. Also be sure to watch and ask for the editorial calendars of any publications you know your customers look at. These often list feature story ideas an outlet will be working on months or even a year in advance, which makes it easier to plan PR alongside other forms of marketing. Key message: In the first paragraph, remind the media of what your company does and its purpose (ie, “XYZ Corp, the market leader in wellness products for Millennial women”), followed by the major news item (ie, “is launching a new soap brand that will transform the experience of washing your face.”) The next few paragraphs would go into the details, just like a blog post. Boilerplate: Include a more detailed paragraph about your company, its products and services and anything else that sets it apart from others in the market. This will be placed at the end of every single press release under an “About” header. Contact: Make sure you offer as many mechanisms to have the media reach out with questions as possible, including a specific spokesperson, their desk and mobile phone numbers, email and even social media channels. Press releases should be supplemented with multimedia assets like infographics, videos and anything else that might already have been produced for more traditional marketing efforts. Make these easy to download, and their context with the press release should be clear. If you feel your firm is better at traditional marketing than PR, you can still use those skills to amplify the impact of whatever coverage you’re given by the press. Create an online ad that summarizes or points to a story about your firm in the media, for instance. 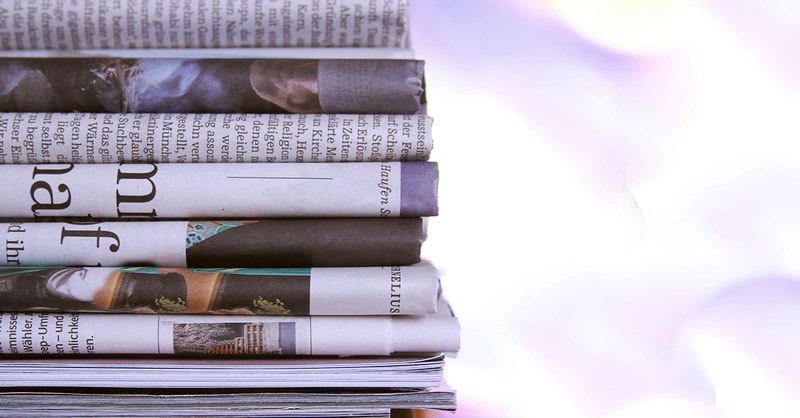 Include links to media coverage in email newsletters you send to your customers. Write a blog post that mentions any news coverage and perhaps fills in any additional details the journalist didn’t include, or clarifies points that might have been confusing or misquoted. Best of all, PR results don’t have to be time-sensitive. They can be treated much like case studies or testimonials from customers that validate your strength in the market. You can do this just by listing the logos of media who have mentioned your firm on your website, for instance. Eventually, others might notice and wonder what all that interest is about -- which will just lead to more PR opportunities.